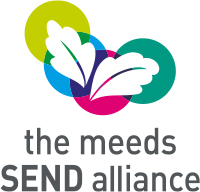 Within London Meed Primary School there is a Special Support Centre for children with speech, language and communication difficulties. The SSC takes children from a wide area of Mid-Sussex. The SSC has places for 11 children from Reception to Year 6. Every child in the SSC is also in a mainstream class and may take part in a range of mainstream lessons. The children in the SSC have Education Health Care Plans, with a primary need of speech and language difficulties. Each child has an individual programme to ensure that we are meeting their needs. Children work in mainstream classes with support where required and work in the SSC for specific interventions. Children have individual speech therapy during the week as well as taking part in a number of small language development groups.The children work on the National Curriculum subjects. In addition to this there are also lots of opportunities to develop play skills, social skills and sensory awareness through practical activities such as cooking and gardening.